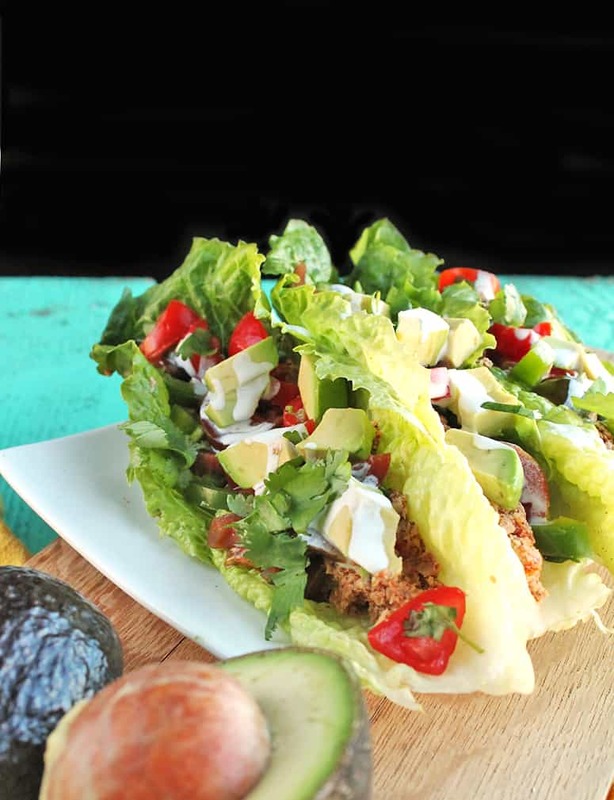 Refreshing raw vegan tacos made with seasoned walnut taco “meat”, fresh pico de gallo, and homemade cashew sour cream for a delicious and wholesome meal that can be made in just 30 minutes. 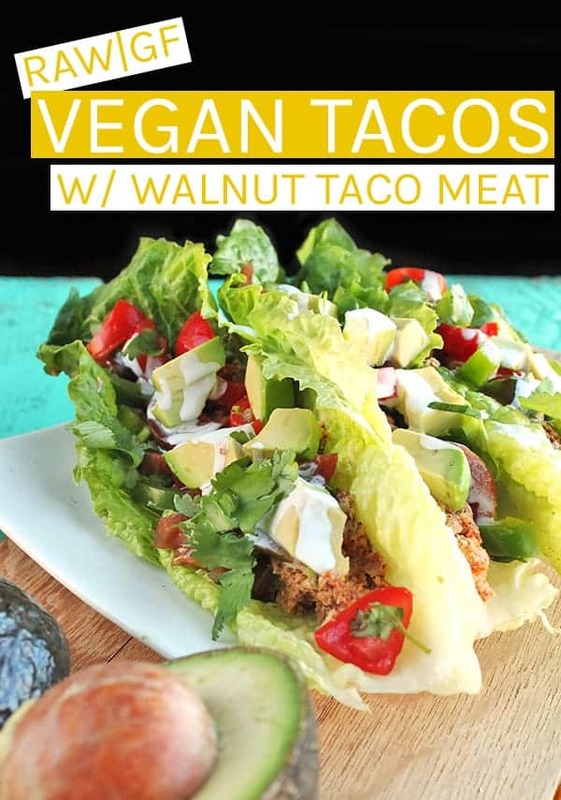 Who could go for some raw vegan tacos right about now? I know I could. It been cold and snowy in Portland the last several days and what I once looked forward to with so much anticipation – winter – I am now eager to have come to an end. I find myself dreaming back to long summer days, warm nights, freshly picked salads, and lime infused Coronas, all which feel so very far away. What do I do when the winter won’t end and summer is months away? Lighten the mood with a little warm-weather food, of course! The 30 day cleanse can be challenging but over the years, I’ve learned a few things that have helped make it a success. 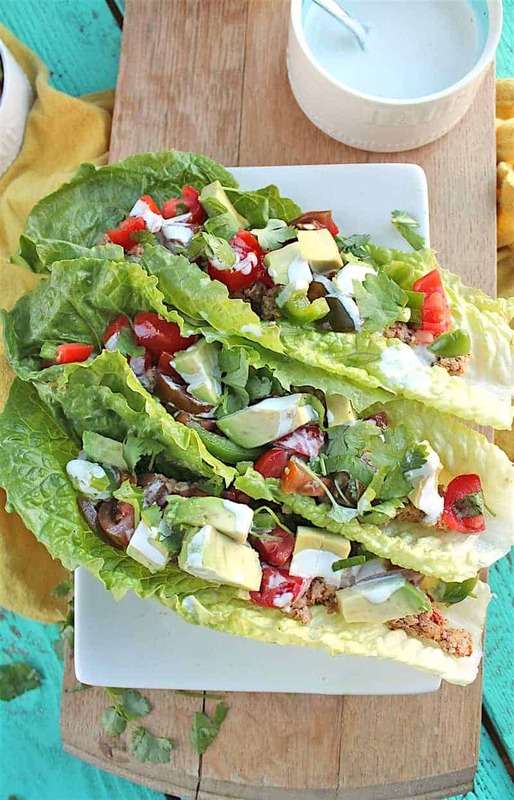 These tacos are one of my favorite go-to meals for that reason. They require several components – raw walnut taco meat, fresh pico de gallo, and cashew sour cream – but once made they can be stored in the refrigerator for up to 5 days making this a super simple light meal or mid-day snack to whip together on the fly throughout the week. A variation of one of my very early recipes, the raw taco salad, this recipe really is an all-time favorite. 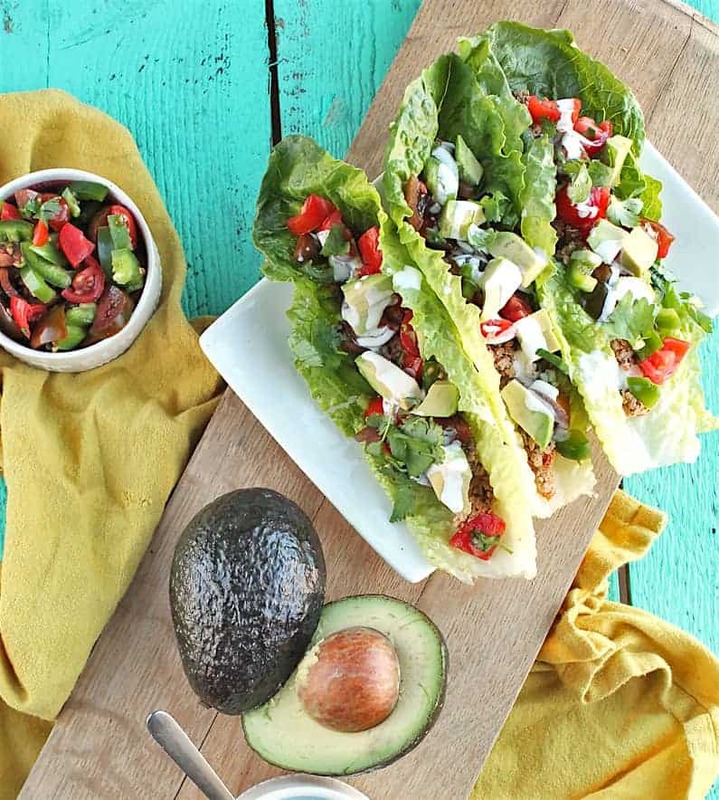 Filled with fresh vegetables and proteins and packed with flavor these raw vegan tacos will make you feel like summer is just around the corner. So hunker down and get through this cold weather with dreams of a summer that will be here before we know it. Refreshing raw vegan tacos made with seasoned walnut taco "meat", fresh pico de gallo, and homemade cashew sour cream for a delicious and wholesome meal that can be made in just 30 minutes. To make the walnut meat, blend all taco meat ingredients in a food processor until walnuts break down into small crumbs. Do not over mix, they will quickly form a paste. Remove from processor and set aside. This was awesome!!!! I’ve been eating on these tacos all week and they’re amazing! Do you have to soak the walnuts first for the walnut taco meat? 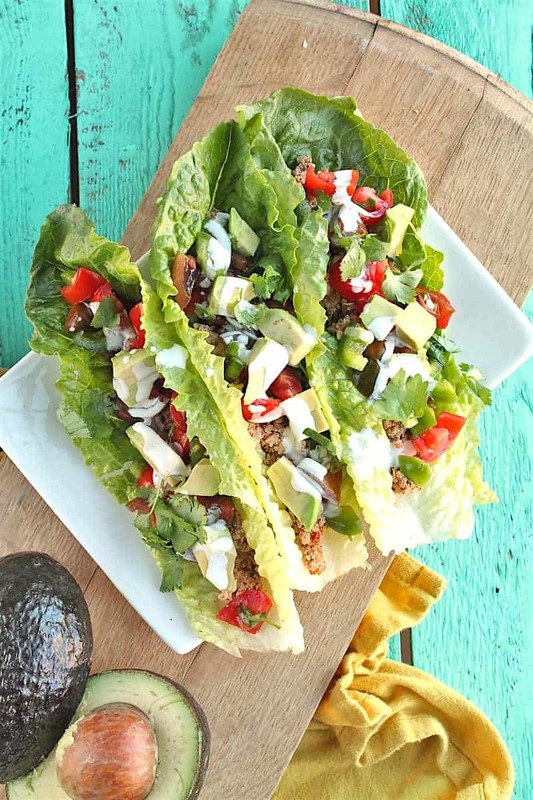 This recipe does not say, but your other recipe (raw taco salad) said to soak the walnuts first. Does it matter? Thank you! It depends on the strength of your blender/food processor. I doesn’t hurt to do that but if you’re using a Vita-Mix or something similar, you don’t need to. These were very good and very filling. Would make these again. Thank you. What do you think would be a good substitution for the walnuts? My husband is allergic. Are you still looking for it to be raw? If not, the best whole-foods substitute would probably be brown lentils. Otherwise, try another nut with a similar texture or raw sunflower seeds.